Chinese style Steamed Cod fish recipe. Good source of protein and easy to prepare. This version is quick and a very good combination with bean paste. 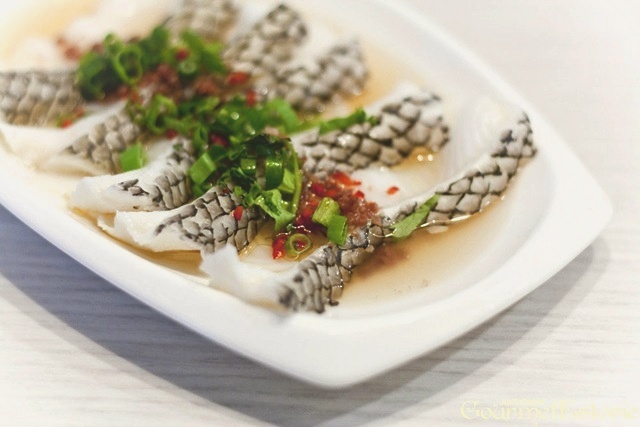 Chinese steamed fish is just so delicious! Wash the cod and drain. Mix soy bean paste, red chilli, minced garlic, minced ginger, shalot oil and Seasonings together. Pour the chilli mixture over the fish. Steam over high heat for 7-8 minutes, sprinkle with chopped spring onion. Serve and enjoy it hot with steamed rice. I made this for myself and my father tonight and we liked it a lot! It was simple to make and I would make it again.